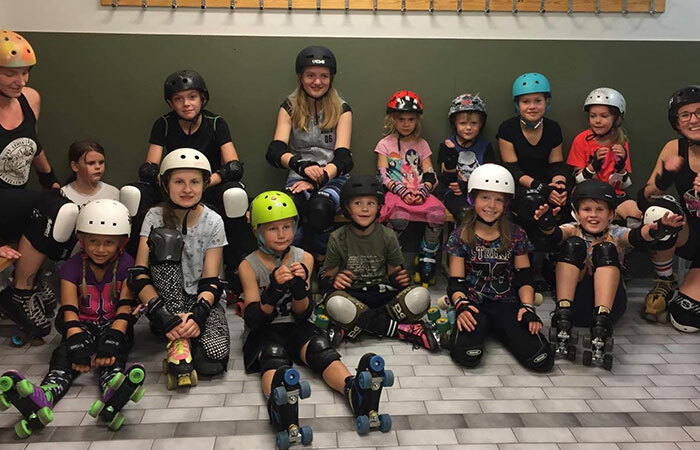 Norrköping Roller Derby has junior activities for children and teenagers between 7-17 years since 2017. Juniors train once per week. The group is currently full but if you are interested in starting, we can subscribe you to a waiting list. Send us a mail to: junior@norrkopingrollerderby.se. When there is space for more new juniors, we will have a try-on opportunity. Look out for the event here or on our Facebook page: Norrköping Roller Derby.